Went out with the hedgehog food just before dusk. Seen something move on the lawn, and took a closer look. Was a baby toad hopping around. Hope the hedgehogs don't find it, may well be supper, that's if they can eat them. Willpar wrote: Went out with the hedgehog food just before dusk. Seen something move on the lawn, and took a closer look. Was a baby toad hopping around. Hope the hedgehogs don't find it, may well be supper, that's if they can eat them. How big was it willpar? Did it look like this years model? Was around the size of a ten pence coin jacksparrow. Unfortunately not. 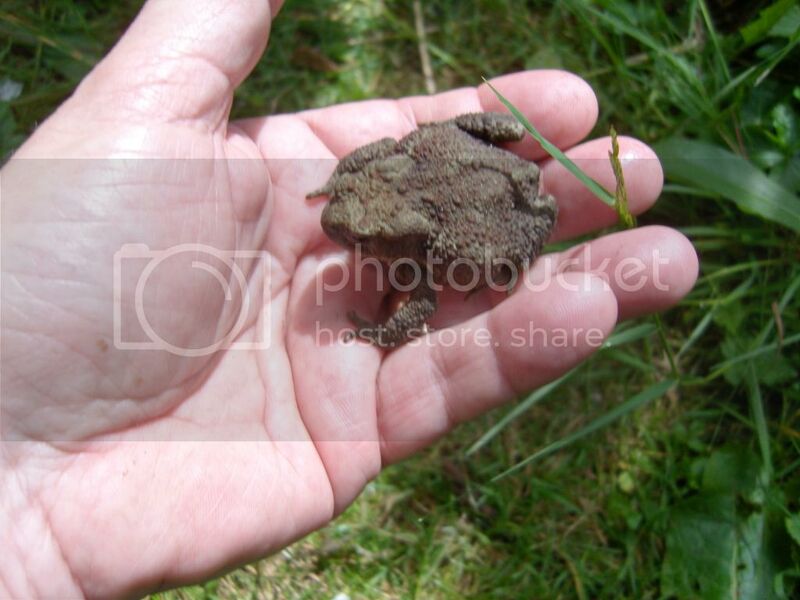 I had a resident Toad a couple of years back but it suddenly vanished. - therefore Willpar's original post might have read: "Saw a toady toady". They said this morning that 75% of toads have disappeared in the last 30 years. What a terrible indictment of a 'civilised' society. Maybe things will change :shake:and The Headmistress will build tunnels under every road in Britain ?